Everything you need to know about travelling by car in NEw Zealand! So you’ve decided you want ultimate freedom to travel the country at your own leisure by travelling by car in New Zealand. That’s awesome! This guide will tell you all you need to know about travelling by car in New Zealand, from what sort of license you need to what costs to expect to travel by car in New Zealand. 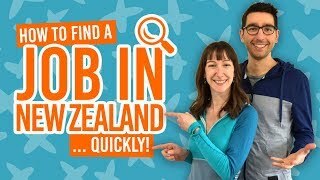 This ultimate guide to travel by car in New Zealand is for both those backpackers who want to rent a car in New Zealand and those who prefer to buy their own. 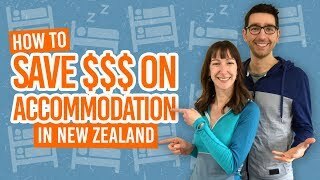 We’ll go over where to rent or buy a car from, important road rules to know for driving on New Zealand’s roads, what costs to expect and where you can legally sleep in your car if you want to. So get ready to hit the road with this ultimate guide to travelling New Zealand by car! To buy or to rent a car in New Zealand? Deciding on whether to buy or rent a car in New Zealand basically depends on how much time you have in New Zealand. If you plan to be in New Zealand for less than a month, then renting a car is the fastest no-nonsense way of getting on the road quickly. On the other hand, buying a car is much more cost-effective if you plan to be in New Zealand and needing to use a vehicle for much longer. Each method has its pros and cons, for instance, renting a car is much more straight forward than buying a car which is often time-consuming and requires you to maintain the car. Nevertheless, if it’s not obvious whether you should buy or rent a car to travel New Zealand then take a look at Should You Rent or Buy a Vehicle to Travel New Zealand? If you are renting a car, you may come across a few other restrictions, such as age restrictions that may mean you have to pay a young drivers surcharge for being under 25 years old. However, this does not apply to all rental companies so be sure to compare rental companies. Check out more on the subject in Age Restrictions When Renting a Vehicle in New Zealand. Now you need a vehicle. How you go about getting a car in New Zealand varies depending on whether you rent or you buy. It’s simple. Compare car rental companies by following the tips in How to Compare Car and Campervan Rental Companies in New Zealand and simply make a booking with your desired dates and pick-up/drop-off locations. When you make a booking, you will either have to pay the price of your rental in full or make a non-refundable deposit. Either way, when you rent a car in New Zealand you pay for the rental before you drive the car, not when you drop it off. Because buying a car is usually a large investment, you will really want to make sure you follow all the necessary steps when buying a car. You can find cars listed on backpacker Facebook groups, the New Zealand auction site TradeMe, backpacker car markets, on hostel notice boards and more. Use a combination of these, as well as what we mention in 5 Ways to Find a Car for Sale in New Zealand to find some vehicles quickly. Next, you will need to arrange a car viewing with the seller. Make sure to inspect the car for any faults, do a test drive and make sure the vehicle has all the necessary certificates, such as a WOF which is a Warrant of Fitness which is a legal requirement to drive on New Zealand roads. There’s a lot to go through but don’t worry, we go through it all in Buying a Car in New Zealand Step by Step. Now you’re ready to hit the road! Wahoo! But for your own safety and the safety of others, make sure you read up on the rules of New Zealand roads. While you can get more in-depth details in How to Drive in New Zealand, these are the main things you need to be aware of. Whether you’re renting a car or driving your own, there are some costs to consider for your budget. The obvious one is the cost of fuel. Of course, fuel costs vary throughout the country and on whatever is going on the fuel industry, but an average cost for petrol is usually NZ$2 per litre. For diesel, it’s NZ$1.35 but you also have to pay a road user charge (RUC) which is around NZ$62 per 1000km. Another cost to put into your budget is the cost of the ferry between the North Island and the South Island. Prices go from NZ$230 each way for a car with two passengers. Find out more in Ferry Between the North Island and South Island. If renting a car, there is the obvious daily cost of the rental itself, which range from NZ$9 a day to NZ$150 a day. Other fees may include a young drivers fee if you are under 25 years old, a one way fee if dropping off the vehicle in a different location to where you picked it up, and an extra driver’s fee. There may also be optional extras liking hiring a GPS or snow chains. If there is any damage to the car that you cause, it is likely you will have to pay for damages unless you have paid for top insurance. We’ll go through more of that below. When having your own car, there is the risk of it breaking down or having some sort of engine problems. It’s up to you to get these fixed, as most insurance companies don’t cover major expenses past the basic breakdown cover. To reduce the chances of this happening, make sure you really check a car before buying it, plus keep the car well-maintained while it is in your care. Follow the tips in How to Maintain Your Car for Travelling New Zealand. Be aware that you also may need to update the WOF certificate of vehicle registration too. While car insurance is not mandatory in New Zealand, some people do prefer to pay for insurance in case the worst should happen and the expenses are too much for them to afford. For your own car, we suggest you look at How Car Insurance Works in New Zealand to help decide whether car insurance is right for you. When renting a vehicle, it’s best to look at companies that either have insurance included in the price, then you have the option to drop the excess to a lower price by paying extra, for example, a high excess that might be included in your rental could be NZ$1,500-3,000, but you may have the option to reduce this excess to, for example, NZ$250 excess and NZ$0 excess/no excess at an extra cost. For more information, check out How Much Does it Cost to Rent a Car in New Zealand? 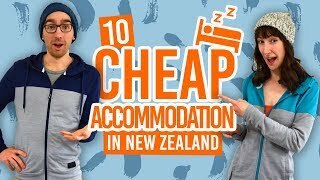 Some people when travelling around New Zealand want to sleep in their car to save money on accommodation. However, there are only designated places that you can legally do this: paid campsites, free campsites and holiday parks. Sleeping in your car in any public place or areas that are some “self-contained” vehicles only is illegal and getting caught could land you an instant NZ$200 fine. We recommend staying in hostels or use designated campsites like holiday parks and Department of Conservation campsites which will keep the price of accommodation low and have more facilities and comforts than sleeping in your car in a random car park. For more information on freedom camping, check out What it’s Really Like to Freedom Camp in New Zealand.